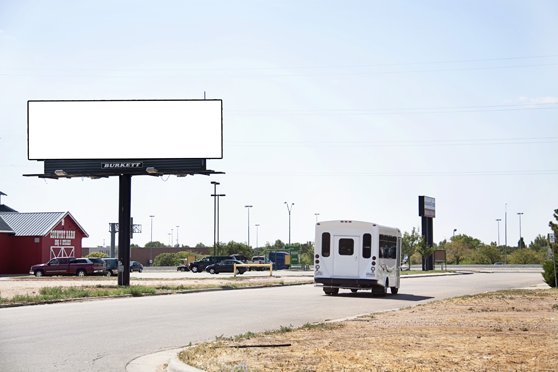 This high profile billboard is located between Country Barn Restaurant and United Artist movie theater. This sign is read by traffic traveling South on Cinema Drive towards the I-40 frontage road. It is located in the heart of Amarillo's entertainment district. This would make an excellent brand awareness sign or directional sign for any hotel, restaurant, retail or service business in Amarillo.